Ingersoll Rand has added multi-sensor support to the DIY connected-home system it markets under its Nexia Home Intelligence brand. The first batch of Nexia-compatible devices in this category include the Aeon Labs Aeotec MultiSensor and the Fibaro Motion Sensor. Stripped down to its bare essentials, the Nexia Home Intelligence system ( you can read our review here ) consists of a Z-Wave bridge (thermostats with built-in bridges are also available), a mobile app, and a Nexia account. The optional cloud-based service—which costs $10 per month—is essential if you wish to monitor and control your Nexia setup remotely. Once these basic building blocks are in place, you are free to choose from a long list of compatible Z-Wave-speaking smart devices, including lighting controls, smart entry locks, smoke/carbon monoxide detectors, security cameras, smart thermostats, and more. 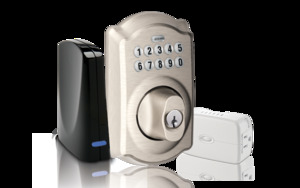 The Nexia ecosystem has become very inclusive over the years, expanding to include third-party devices as diverse as motorized window shades and water valves. Most earlier connected-home systems used motion sensors to trigger events (turning on lights, sending a text message, or activating an alarm system). These are increasingly giving way to multi-function sensors that respond to ambient conditions such as light, vibration, temperature, and humidity as well as motion. 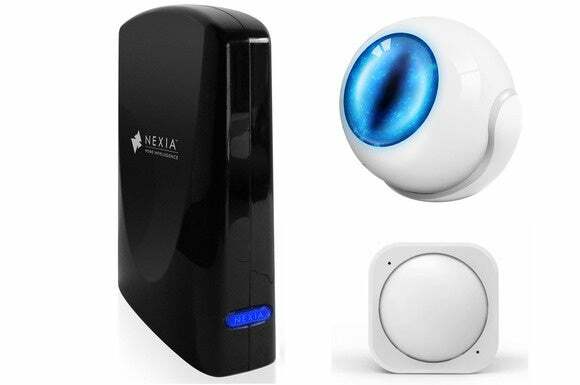 Adding them to your Nexia setup could greatly enhance your various smart-home devices’ awareness and usefulness. To give just one example, a multi-sensor could prompt the smart bulbs in your Nexia network to come on as natural light fades. The cat-eye-shaped Fibaro Motion Sensor is available on Amazon for $68, whereas the more conventional looking Aeon Labs Aerotec MultiSensor is currently going for around $38 on the same site. Why this matters: Competition is heating up as the connected-home market becomes increasingly larger and mainstream, as evidenced by Sears opening dedicated stores-within-stores to market these products. Verizon might have exited the market, encouraging its customers to transition to Nexia Home Intelligence, but ADT, AT&T, Comcast, Vivint, and others show no signs of giving up. Nexia also needs to keep up with new devices and systems that support myriad types of sensors (sometimes all in the same unit, with Canary and Piper being two good examples), and new competitors entering the market (Myfox is looking particularly strong). If you’re a Nexia customer, being able to add these new sensors to your system will make it stronger and more versatile without needing to spend a lot of money—or starting over with some other company.